Who doesn’t love a good food platter? In November, personal-chef-turned-small-business-owner Margo Morrill stepped out of private kitchens and into the public food industry to offer the city something new: Go Graze. Collections of crackers, dips, charcuterie, cheeses, vegetables, candied fruits and pastries sit together beautifully in a variety of grazing platters that Morrill offers through her company. 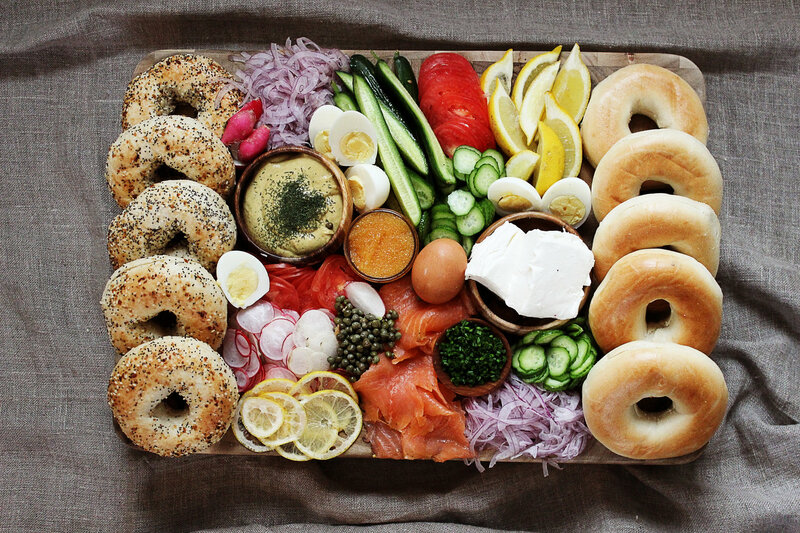 Options like the Lox Box, Gathering Collection and Sweet Collection bring people together over buildable snacks and dippable veggies during special occasions, corporate functions and social gatherings. And Morrill hand-picks each ingredient and assembles the boxes herself, carefully placing each component and marrying the ingredients from her own tastes. If there’s an allergy or a special request, she will fulfill it for you to bring a specialized grazing platter for your friends and coworkers to enjoy. The collections start at $79 and can serve a small gathering of four to six people or can be larger to serve a party of 25. We caught up with Morrill to talk about her collections, the beginning of Go Graze and how she puts together the platters. Queen City Nerve: How did you get the idea to start Go Graze? Margo Morrill: I’ve been a personal chef for seven years, and I love doing that, it’s wonderful, but being in the private end of the food service industry, I kind of wanted to do something more. I wanted to offer something to the public. Something that I could do more in volume. And I thought these grazing boards would be awesome. When I have parties at my house, I usually do the boards. And I’ve noticed when I’m at other parties, people are very engaged with one another, we’re always on our phones and even at gatherings it can be that way. And I think these grazing boards are a great way to engage with other people and be creative and you know, kind of start a conversation. How do you put together all the pieces for a collection? Well you know, I kind of pull together from my own mind that I think would be good. So when you have cheeses, you want a variety of cheeses, because not everybody likes the same cheese. So we go with a pungent cheese, we go with a mild cheese. I always try to have a cheese on there that children would like also, so kind of try and pull around the flavor wheel for all the different cheeses, and for all the different flavors for all the different boards. Some of the food seems seasonal. Do you run into any problems with sourcing and pricing because of that? Of course there is a variance in price for the different seasons, but we try to build that into the cost of our boards. We also will switch out certain ingredients depending on the time of year and depending on what’s available, and if there’s anything cooler at the farmer’s market. What’s your favorite grazing collection that you offer? You know what? I really like all of them. I think they’re all great. But I really love the Gathering Collection, because I think it has a little bit of everything so there’s something for everybody. Whether somebody wants something sweet or somebody wants something savory, I think that’s a nice board to bring to a party or have for your event. How do you hope Go Graze will grow in the future? Right now, as you know, we’re still pretty new. And like I said, this is really new for me which is really exciting to learn about marketing and all of those type of things too. So right now we’re just doing parties, home parties and stuff like that, as well as corporate catering. And we’d like to grow into weddings, we’re going to be at a couple wedding shows this year. And from there, who knows?